For great food gifts create citrus salts by following the straightforward instructions by the Platings + Pairings blog in glass jelly jars with gold metal caps. 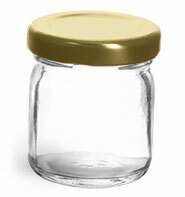 Each case of glass jelly jars comes with gold lug caps. 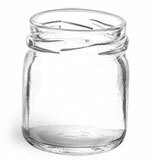 These glass jars might be great for jams, jellies, sauces and more. Whether you are looking to sample your product, include them in a gift basket or create fun variety packs, these jars could be a perfect size.